Goodie Ibru, one of the popular Ibru brothers, has been declared wanted by the Economic and Financial Crimes Commission. In a notice, EFCC spokesman, Wilson Uwujaren, said Goodie, 74 years old, is wanted in connection with money laundering, conspiracy, theft, capital market fraud and diversion of funds. 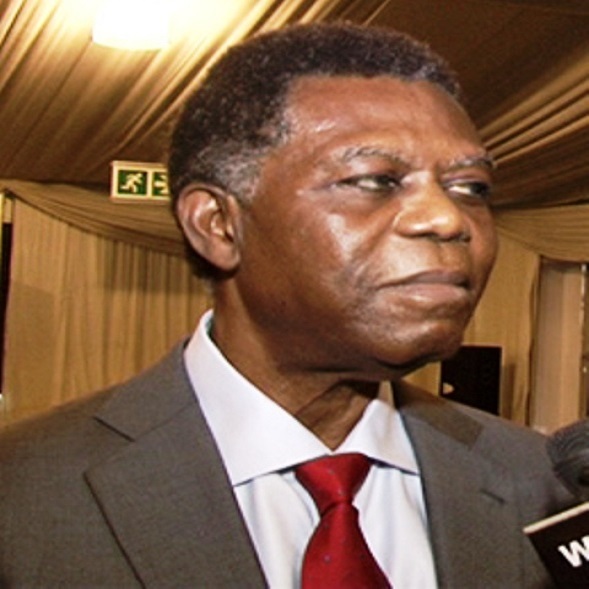 From the notice, it was clear that Ibru’s offence emanated from his chairmanship of Ikeja Hotels, owners of Sheraton Hotel in Abuja and Lagos, Capital Hotel and Federal Palace Hotel. The ownership of the company has been a subject of dispute between Maiden Ibru, publisher of The Guardian newspaper and Goodie Ibru. Maiden’s late husband, Alex Ibru was a co-director of the company. But when he died, a struggle began for the control of the company. The EFCC in its notice on its website said:“The public is hereby notified that Goodie Minabo Ibru is wanted by the EFCC in connection with a case of conspiracy, capital market fraud, stealing, diversion of funds and money laundering. “He diverted billions of Naira and assets of Ikeja Hotels Plc, owners of Sheraton Hotel, Lagos; Federal Palace Hotel and Capital Hotel; owners of Sheraton Hotel Abuja to his personal benefit. The Nation newspaper locates Goodie Ibru’s problem in the crisis of confidence among shareholders of Ikeja Hotels Plc in the last one year. “Armed with a Federal High Court order, some shareholders, led by Mrs. Maiden Ibru, the widow of Guardian Publisher, Mr Alex Ibru, held a controversial Extra-Ordinary General Meeting outside the Sheraton hotel premises on January 6, 2015. “Some shareholders later purportedly sacked Goddie Ibru as the chairman and director of the company over corporate governance infractions. “They also picked Mr. Olumide Braithwaite and Mr. Tunde Sarumi as directors of the company. “KPMG Nigeria Ltd was mandated conduct a forensic audit of the management of the company from 1999 to 2014 when Mr. Goodie Ibru was the chairman of Ikeja Hotels Plc . Capital Hotel and Federal Palace Hotel. capital market fraud and diversion of funds. diversion of funds and money laundering. publisher of The Guardian newspaper and Goodie Ibru.